The children taught me their songs and showed me what they learnt in class. At one point, they were fighting to hold my hand. I wished I had more hands to hold each little hand. They just wanted to be happy again, to feel safe. Robbed of their childhood, all these children are longing for warmth and kindness. 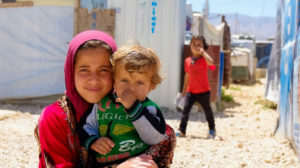 Lebanon has the highest per capita concentration of refugees in the world, hosting more than 1.5 million Syrian refugees. With no official refugee camps, most of the new arrivals are living in makeshift tented settlements, in cramped apartment blocks, or in abandoned or half-built buildings. Some are even sleeping in the open air. We are working with our partner, Caritas Lebanon, to provide food, shelter, healthcare and medical supplies to thousands of refugees and host communities. But, with the war continuing in Syria, there is no end in sight to the crisis. Caritas Lebanon are also providing cash so families can prioritise their own needs – such as legal assistance or counselling. Children, in particular, are often in need of counselling, having been traumatised after seeing their relatives killed or homes destroyed in front of them. The needs are great. Nearly 250,000 Syrian refugee children remain out of school in Lebanon, damaging their education and making them vulnerable to exploitation. Many families cannot afford to pay school-related costs such as transportation or school supplies. Others need to increase their family income, and so children are sent out to work, or some children are married young. 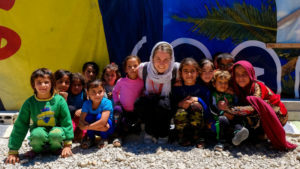 Some schools do not enrol refugees at all as they do not have the capacity to cope with the demand, or they face language and curriculum issues. 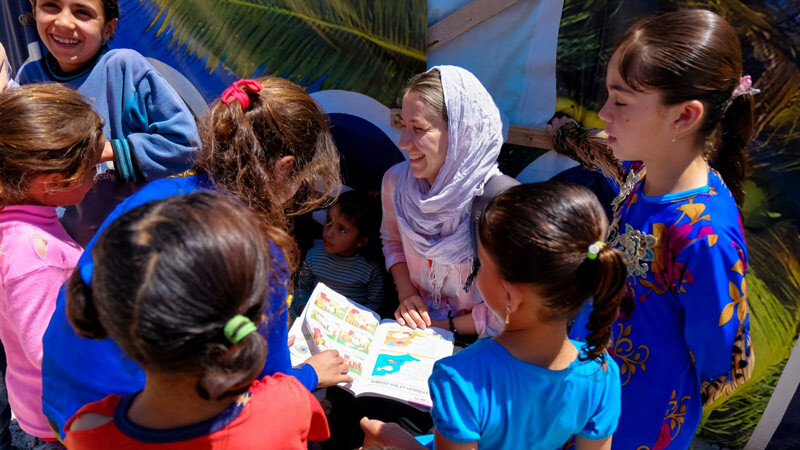 Despite the conditions they were living in, trauma they experienced, and difficulties around them, the children I met were still smiling and laughing. But behind smiles, I saw pain and suffering. Initially older boys were just looking from a distance – they are ‘too old’ to play because of their responsibilities to help their families. But in the end, they just couldn’t resist, so they joined in and I ended up teaching them clapping games. I felt privileged to be in their company. While playing with children and making lots of noise in their settlement, an elderly woman came up to me. She smiled and kissed me on my cheek. She told me she was pleased to see children laughing again. As I was leaving, the children ran after the car waving goodbye, blowing kisses and shouting: “Do come back soon.” I will never forget their faces. Without humanitarian assistance, without devoted aid workers working day and night, sharing their lives with the most vulnerable, this situation could be very different.